Can your Employee Work on a Bridging Visa? It can be complicated to know whether an employee on a bridging visa can legally work for your business or not. Here is a break down to make it easier for you to understand what a bridging visa is, and whether you can employ a worker legally while on a bridging visa. A Bridging visa is a visa which is typically held whilst waiting for a visa application to be processed. Typically it has no fixed expiry date, and doesn’t allow travel outside of Australia. This is in contrast to a substantive visa which has a fixed validity period and allows a person to stay in Australia for a specific purpose. A typical bridging visa scenario would be where a working holiday maker, Frank, applies for a 457 visa whilst in Australia. Frank would be granted a Bridging A visa which allows them to stay legally in Australia after his working holiday visa expires. How long does a bridging visa last for? A bridging visa is generally valid until 28 days after a decision is made on the main visa application. So in Frank’s case, if his 457 visa application is refused, his bridging A visa would cease 28 days after the decision is made. Should I hire someone who is on a bridging visa? Bridging visa holders typically have work rights. However, as the bridging visa would typically cease within 28 days of a refusal, employers should regularly check the immigration status of employees holding bridging visas to ensure that they continue to have work rights. 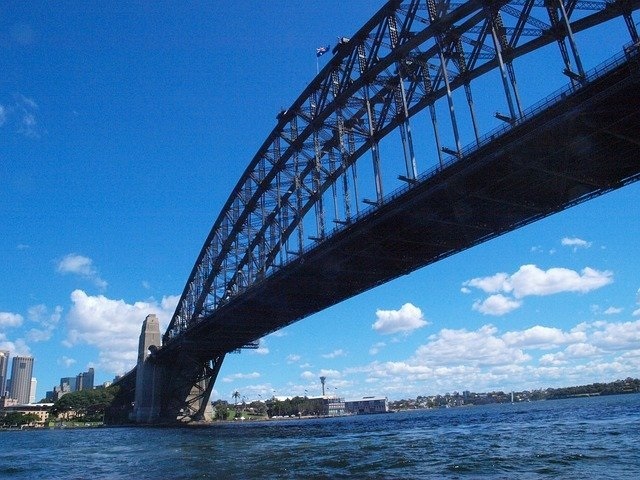 Do bridging visas have full work rights in Australia? Employers should carefully check the work conditions on bridging visas, as holders do not always have full work rights. In general, a Bridging A visa will have the same work rights as the visa held at the time of application. For instance, in Frank’s case, his Bridging A visa will have the same 6-month work limitation as his Working Holiday visa (ie condition 8547). However, if he held a visitor visa when he lodged, he would have no work rights on his Bridging A visa as a visitor visa does not allow work in Australia. In other cases, the Bridging A will have unlimited work rights. This is the case where the person has applied onshore for an ENS (subclass 186), RSMS (subclass 187) or General Skilled Migration visa (subclass 189, 190 or 489). Which bridging visas can you work with? Bridging A and B visas generally have the same work rights as the visa held when the main visa application was lodged, and in some cases full work rights will apply. Bridging C and E visas have no work rights when granted, and an application must be made for the grant of work rights. Applicants would typically need to demonstrate financial hardship for work rights to be granted in this situation. As work rights for bridging visa holders vary considerably depending on the situation, employers should check work conditions very carefully in the case of bridging visa holders. How can I make sure my employee can work on their bridging visa? If you only have a few foreign workers, use vSure Instant Check to confirm which work conditions apply to your employee’s bridging visa. If you have more than a few foreign workers, then you need the vSure work rights app (see below). Make sure that you continue to check regularly during employment to ensure that the bridging visa continues to be in effect. If an employee’s bridging visa ceases, they may not be able to continue working for you, so make sure that you discuss the situation with the employee well ahead of time. Are you compliant and checking the work rights of ALL of your workers? The vSure Work Rights app has been built to ensure medium to large employers are compliant with the obligations to take “reasonable steps at reasonable times” to check employee work rights. Rather than having to manually check individuals, vSure has been built specifically for employers with more than 10 foreign workers to check and automatically keep checking work rights. The app will email or SMS you each time it checks (generally monthly), ensuring you maintain your compliance, without the manual effort. If you want the easiest and most effective way to ensure work rights compliance, please click here to request a demonstration today. Request a no obligation demo of the vSure system.